The old wood planks, stained and sturdy, create a place for us to be, create a window for us to look out of. A joy and wonder of old things and the vibes that remain after the people are gone. An old place that once held tools and animals is abandoned, now the foundation of rocks is dissolving. The dream of old and the dream of the future makes this place useful. Our sense of wonder is alive. Exploration and the feeling that it's open here, and maybe-- just maybe it's ours. Perhaps we can't take ownership of the old barn in the meadow, but what if we take ownership of our own wonder and our sense of adventure. I challenge myself to keep my sense of adventure alive. Man, it is so easy to just turn away from myself, it's so surprisingly easy. To become complacent and not laugh at the silly jokes and think about having another slice of gluten free cake. It doesn't do me any good. If we take ownership of our sense of wonder perhaps we can laugh at the trite joke or nestle in with the ones we love. Soften around them, soften around ourselves. What if instead of dissolving into the feeling of loneliness I stopped and noticed the feeling of loneliness was there? If I actually try, a bad day can turn upside down. Sometimes I sit and stew and then I will remind myself that I am addicted to the feeling that I'm in a "bad mood." I ask myself, "What if I let go of this feeling of being mad or feeling lonely? Then what? What may be possible for me?" It's not a difficult concept, the trick is remembering. Remembering to come back. 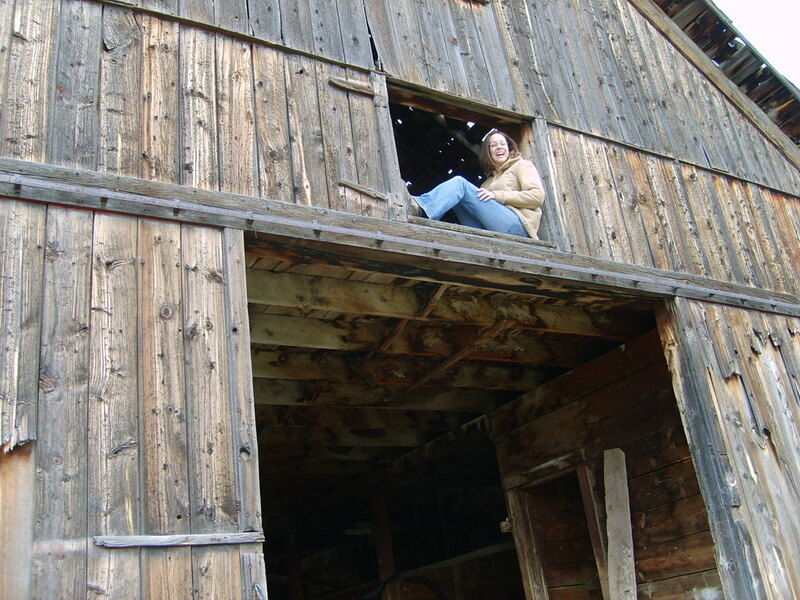 I can curl up in window frame of the abandoned barn and look out, the sky expansive. It's blue and I see the clouds forming for it's afternoon rain shower, the one that will wipe the slate clean. And then the clouds will burn off and the stars will be complete and shining above me. I will go down the creaky stairs of the barn, throw my blanket over my shoulders; owning my sense of wonder--I will gaze up, gaze up at those stars.